Percentile is the value below which a percentage of our data falls. Percentiles describe characteristics of distributions. 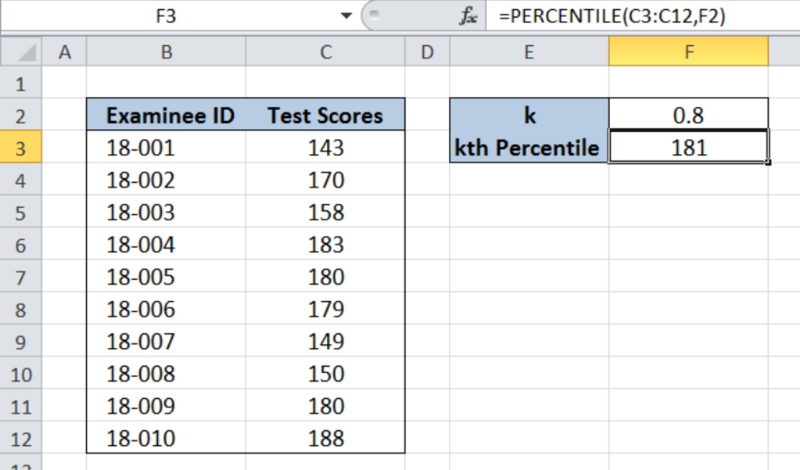 This step by step tutorial will assist all levels of Excel users in using the PERCENTILE function. Our table consists of two columns: Examinee ID (column B) and Test Scores (column C). In cell F2, we enter 0.8 to calculate the 80th percentile of the Test Scores. The result for the 80th percentile will be recorded in cell F3. The array is the range C3:C12, which contains the Test Scores. The value for k is 0.8, which refers to the 80th percentile. As a result, the PERCENTILE function returns 181, which means that 80% of the examinees have scores below 181. I need a formula that ranks the highest number in the 1st percentile and the lowest number at the 100th percentile. 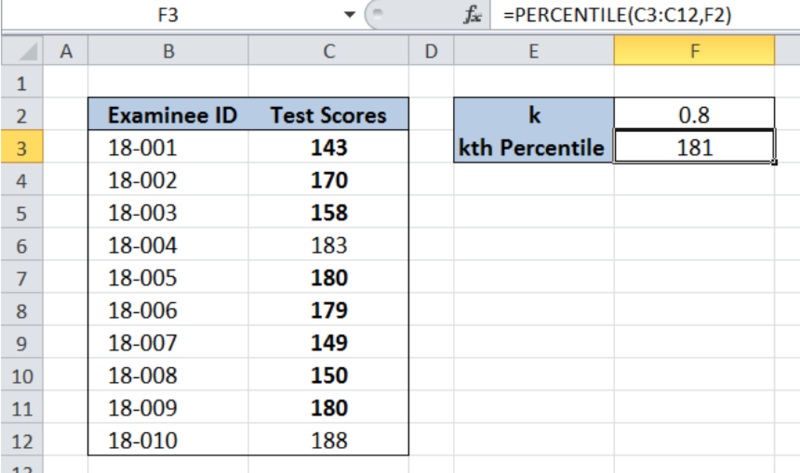 How do I color code the cells in column b so: cells are green for numbers in the top 25th percentile, yellow for the middle 50th percentile, and red for the bottom 25th percentile? 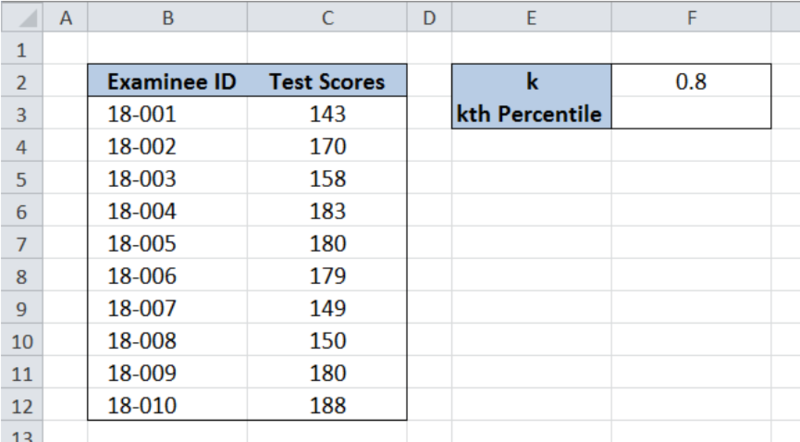 I have values for 25th, 50th and 75th percentiles, how do I calculate value for 10th percentile from these values in excel. 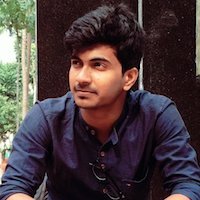 The values that I am getting using Percentile formula is higher than 25th percentile value which should not be the case. 10th percentile value should have been lower than 25th, 50th and 75th percentile values.